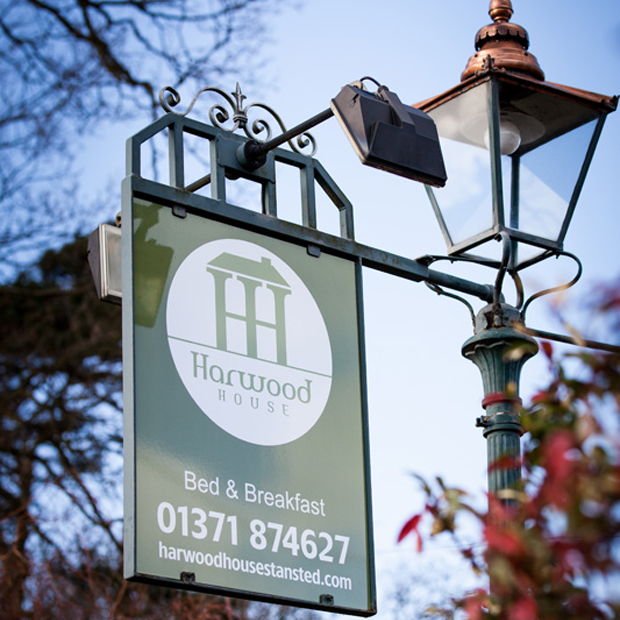 At the close of 2013 we had the pleasure of working with Harwood House B&B in Essex to launch a new website. Harwood House’s legacy site was no longer meeting their needs and they wanted to move on to a CMS-driven website with good support for search optimised content. Happily for all concerned, our mutual friend Simply Sanding, an Essex-based floor refurbishing outfit, recommended our WordPress content strategy services, and thus began a great new partnership with another hard-working family-run business. Harwood House underwent a major refurbishment and rebranding in 2013, and a new, more flexible and full-featured website was part of this process. Harwood wanted to rework their online advertising in favour of a well thought-out WordPress content strategy rather than relying on Adwords. The first step in launching a site capable of strong organic search rankings was the creation of a CMS-driven website to support a content strategy. We like love the WordPress CMS, and that’s what we used to power Harwood’s new site. For design, Harwood House opted for our Pro Package, which uses one of our fully responsive custom themes, which we customised to suit the business’s branding. In addition to conventional website behaviour and functionality we embedded a TripAdvisor widget which displays a feed of the business’s reviews from the trusted hospitality website, as well as a booking widget integrated with the business’s 3rd party booking system. Commit to building your brand. Harwood’s approach to their web presence can serve as an inspiration for your own endeavours to grow your business online. Professional photographs are particularly helpful online. High resolution, well lit, and well shot photographs make a big impact on a site. Great photos can be used to illustrate content on your company blog or in a gallery to help potential customers see just how wonderful your products and services are. On the flip side, poorly lit, poor resolution snapshots can have the opposite effect and erode the clean, polished, and professional brand identity you are aiming for. Harwood House has a lovely video tour of a morning at their bed and breakfast, which really shows off their genuine and warm personalities. This is a great way to introduce potential guests to the owners and operators and includes glowing testimonials from real-life guests. Unique, shareable content is a valuable asset and we look forward to the business’s next video coming this year. We have an ongoing relationship with Harwood House, in which we help with their WordPress content strategy. We collaborate closely on the creation of informative, keyword rich content to enhance their site’s organic search rankings. While the B&B keyword space is highly competitive, we’ve been able to quickly establish a good position for the business in a few weeks; we’re aiming for a great position! While it is difficult to beat out large hospitality indexes such as TripAdvisor, it is more achievable to compete with other individual guest houses as few of these businesses make an ongoing investment in their sites’ content; their search ranks are often more related to the age of their domain and optimised (or not) static content. By focussing on WordPress content strategy, versus more expensive and sometimes less effective pay-per-click advertising, Harwood House is able to effectively compete for organic search rankings for a fraction of the cost. Harwood has made a great start with their web presence and their willingness to cultivate their content and to try new things will help them to evolve and nurture their online presence as the Internet itself evolves and changes. Technology has much to offer a business with this attitude. For instance, periodic newsletters using a service such as MailChimp could be used to promote discounts and share information on local events. Harwood House is located in Essex, near Stansted airport. The business already leverages its proximity and offers a bespoke transfer and park & fly service. The synergies between Stansted and the B&B might be further exploited by, for example, using alerts for special flight deals in and out of Stansted. In this way the business could offer its own deals and promotions and target customers taking advantage of related flight deals.